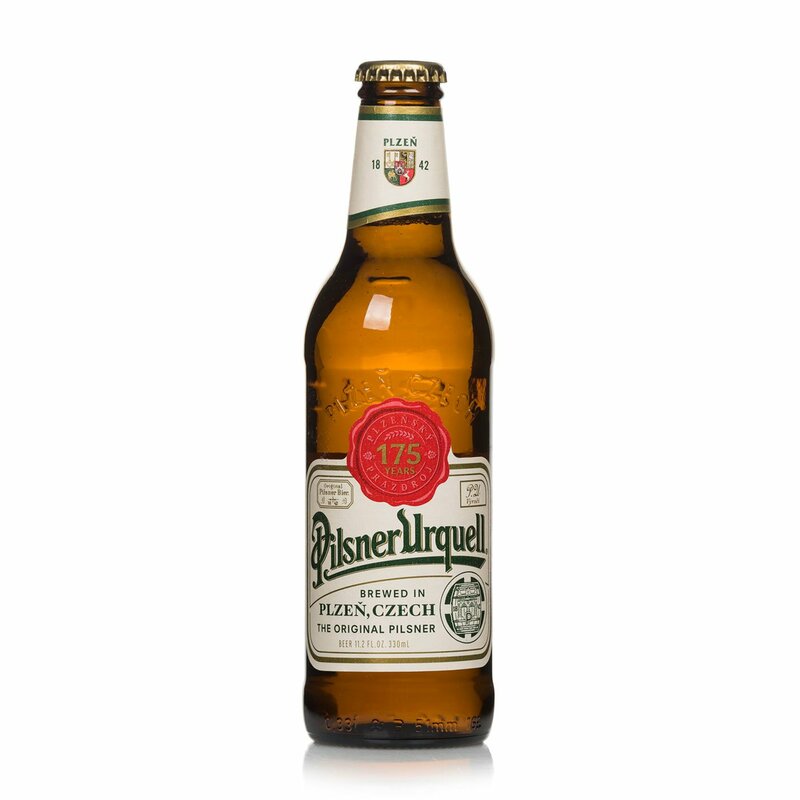 Pilsner Urquell: pale, light, with an assertively bitter and thirst-quenching taste. A Czech beer, on the market for over a century now, having first conquered success in its native land, and then internationally. Robustly hopped, it offers a good balance between delicate sweetness and velvety bitterness, enclosed in a fragrant core. On the palate it unveils notes of caramel and then at the finish adds subtly bitter undertones. Delightfully easy to drink, it also displays pleasant aromas of fresh bread, hops and honeysuckle. Since1842, the PPAS brewery based in Plzeň, in Bohemia, has been producing its Pilsner Urquell beer, today exported to over 50 different countries. The company is part of the SABMiller Group, constituting one of its most prestigious brands. The history of the brewery has always been linked above all to this Pilsner, which won the famous Chicago Prize and has been nominated World Champion Beer. The PPAS brewery is also highly active in organising trade shows, events and exhibitions devoted to beer, in countries around the globe but especially in European countries with particularly deep beer traditions, such as Germany, Belgium and recently Italy too.